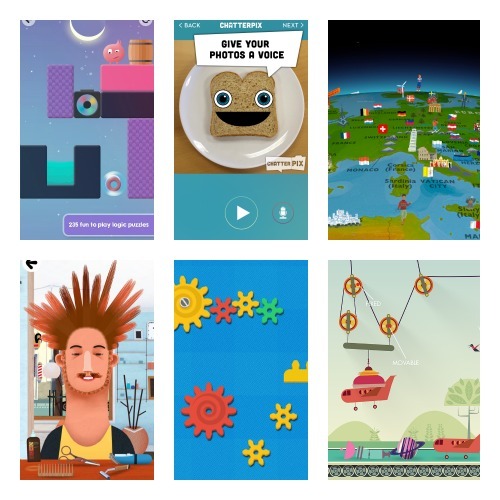 With Summer holidays looming I thought it may be an idea to share a few of our favourite iPad apps. Finding new apps can be a bit of a minefield. I’ve lost count of the number of iPad apps we have downloaded and it turns out they were rubbish. You can’t always trust online reviews but I can assure you that my 7 year old daughter has played with these extensively and goes back to them over and over again. I don’t suggest you dash out and buy them all but do have a look and arm yourself for the holidays. I’ve always been a fan of their apps. I came across this one under my guise as a Computing Consultant in Education. It has a lot of educational potential but bottom line it’s hilariously good fun. 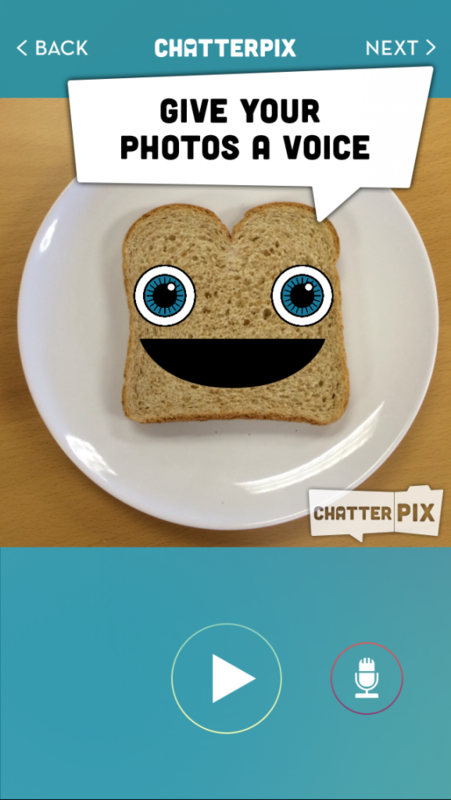 You can make just about any object, including a piece of toast, talk simply by drawing a straight line and recording your voice. 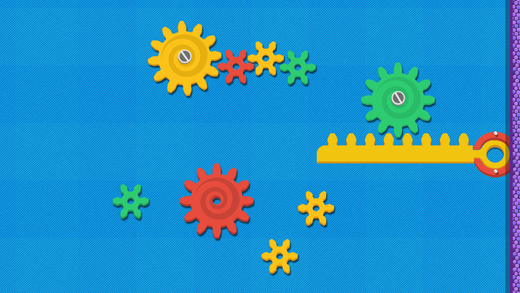 Children explore how mechanisms work (gears, chains, rods and pulleys) and engage in problem solving to unravel a series of puzzles. I love apps that are fun and educational at the same time. 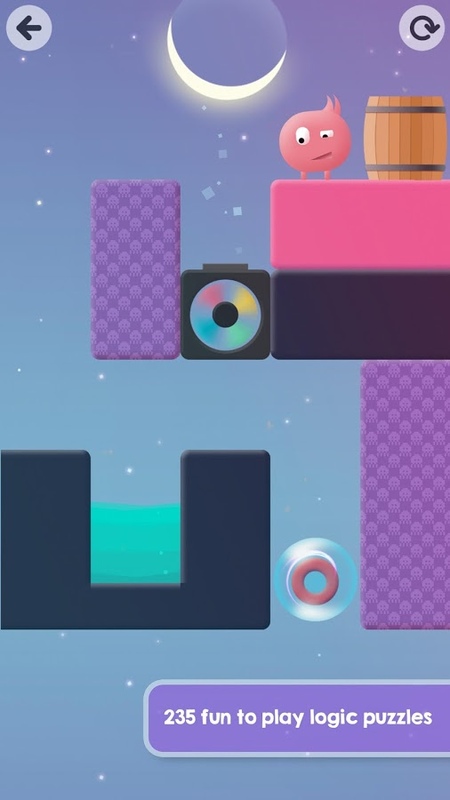 Thinkrolls2 is a series of logic problems that get progressively harder, you have to get the characters through a maze, whilst learning about force, aerodynamics, buoyancy, electricity and even get a taste of quantum physics. Children have the opportunity to explore levers, pulleys, wheels, screws and wedges and learn about physics without even realising it. 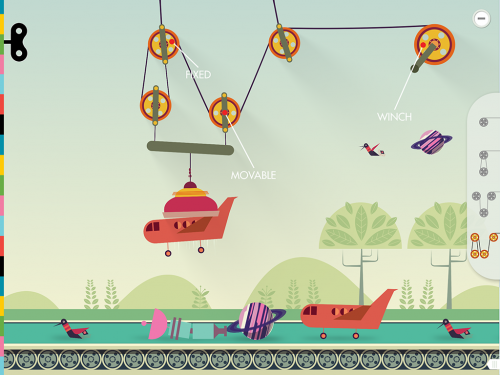 This app is a great way to foster a love of Science from a young age. This app was created for 9-11 year olds but I think it’s brilliant for slightly younger children as well. 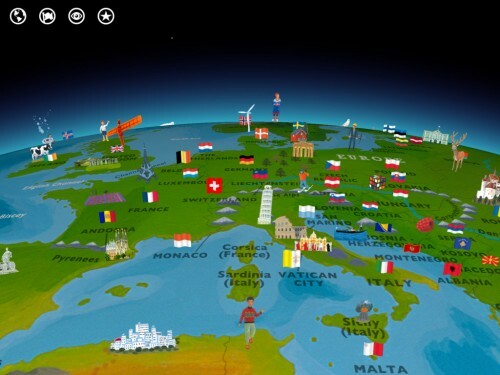 You have a 3D Globe that you can spin around with a swipe of a finger, then zoom in to explore different landmarks and places. Listen to BBC TV presenter Nick Crane and learn some fascinating facts about different countries. I have no idea why they call it Shadow Puppet as it’s a bit misleading. 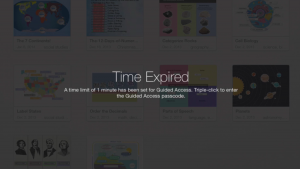 This is an incredibly powerful app and very easy to use, again I came across it in a school. I downloaded it and within minutes, without any input from me, my daughter was creating animated books, by taking photos of her favourite book and then narrating them herself. She then moved onto creating a visual presentation on Egypt using the images that come with the app and narrating them herself. This could make homework projects much more exciting. 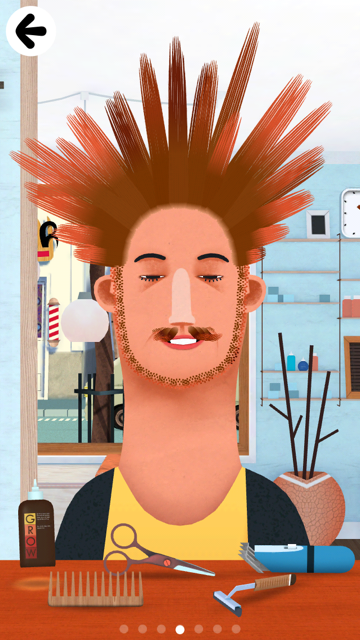 We’ve had this app for awhile and my daughter never tires of it, she can cut, curl and colour hair with hilarious results. Do you have any must have apps that I should have a look at? If so, leave me a comment below. Worried about your kids spending too much time on iPads? 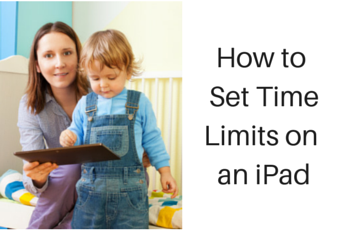 I haven’t found the perfect solution for setting time limits on an iPad yet. I was hoping for an app, that as soon as my 7-year old picked it up and started playing a timer would start and lock her out after a set period of time. In an ideal world, I should be monitoring her use more closely, but like all busy parents I get distracted and lose track of time. However, I have found a work around that will suffice until I find something better. You will have to manually set the timer and it’s App specific. In my case I wanted to limit the amount of time that she spends on Minecraft. 1) Firstly, you will need iOS 8 as it has the Guided Access Feature. Go to Settings>General>Accessibility and turn on the Guided Access feature. 2) Now when your child is in the game/app/website, if you triple click the Home Button on the Device a menu for setting the time limit will appear in the bottom right hand corner. Simply choose the amount of time you are happy for them to have. 3) They will be given a warning when they are about to run out of time. 4) Then a black screen will appear letting them know that they have run out of time. 5) At this point, it’s up to your discretion whether you want to give them more time. Do you have any other solutions to this? Are there any good apps you have used that would be better? Please do leave a comment below. I’m crap with money and always have been. However, I would like to instil in my daughter the value of money and getting her saving from an early age. I’m lucky my husband is a bit of a miser and set up saving accounts for her at an early age. She now probably has more money than I do. It really is a tricky one, especially with online shopping as no physical money changes hands. She once wanted a yellow slide and said ‘Mummy, why don’t you just go online and get it’. I had to explain to her that it still costs money and we can’t just have everything we want. If you’re like me any time we go to the shop, into town, school fairs, events or dreaded gift shops they are always asking ‘can I have this, can I have that’ and it becomes a bit of a battle and I often say to her, ‘Did you bring any money?’ and she always replies ‘No!’ and expects me to shell out. 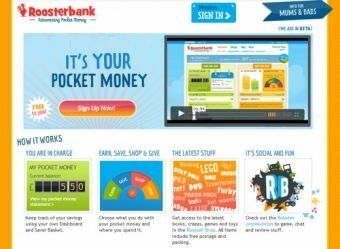 So, I was thrilled when I came across The Roosterbank App which allows you to manage your children’s pocket money. 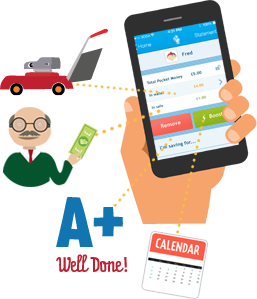 You can set an amount that they receive each week and specify the day. I have set ours to £3 a week as she is only 6 years old and she gets it on a Friday. Then when we are out and she asks for something she then has to decide whether it’s worth spending her own money on and on few occasions she decided she really didn’t need it. Genius! Teaches the connection between work and money! Plus, she can also ponder whether it’s better to save it up for a few weeks and get something more substantial. We haven’t had to yet but you can also remove money if they have been naughty or not done what you asked them to. And the best thing of all is that the App is FREE! Oh the irony. Technology is not making our kids stupid! 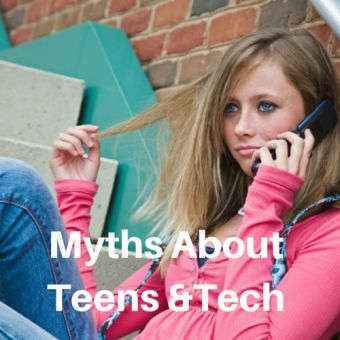 On the weekend I read an article by Elizabeth Pearle, the Senior Editor of HuffPost Teen called 5 Myths that Parents should ignore about Teens and Technology. She challenges the myths that technology is making our kids thick, anti-social and causing them to have attention spans of goldfish but in fact, technology is making them more engaged, better readers and writers and more sociable than ever. It is one of those articles, that you think, yes, she nailed it and I couldn’t have written it better. Well she is a professional writer, so it’s not surprising. The content was spot on and I found myself nodding the whole way through and was compelled to share it. I strongly recommend you read it before you read the rest of this post. However, there are a few things that I would like to add from my own personal experience as a parent, educational technology consultant and social media addict. In the summer, I had the opportunity to spend more time with my 15 year old niece. I’ve been away for most of her life so haven’t got to know her as well as I’ve had liked. She does spend a lot of time on her phone, like most teens and when I say a lot, she is on it constantly even into the wee hours of the night. It winds the majority of adults around her crazy. However, it doesn’t bother me as a high user of tech myself, I’m fully aware that she can talk to her friends and join in a conversation with me at the same time. So, instead of chastising her, I showed interest in what she was chatting about and in the end she opened up and started sharing with me. I couldn’t even hazard guess at the number of messages teens send in a day. But I know that I’ve personally sent over a 160,000 tweets which probably equates to a rather large manuscript, more than I ever wrote at school. Kids are reading and writing messages relentlessly, this can’t be a bad thing, even if they throw in creative ‘text’ spellings, they’re engaged with language. Isn’t this what we want? Even though I spend a lot of time on Social Media sites, I’m one of the least sociable people you will meet. I hate chatting on the phone or making small talk with people when I first meet them. However, with the advent of social media, I find that I’m more sociable than ever. I seek out conversations on Twitter and Facebook, join in and often start my own conversations. I asked my niece about this tonight and she said ‘they really do care’ This may be one of the reasons that the younger generation are no longer using Facebook as they don’t want everyone, including their Nan, knowing what they are up to and migrating to Snapchat. Teens have been private since as long as I can remember and I was too. Getting anything out of them is more difficult than pulling teeth. Prior to coming to the UK and applying for jobs, I told her to clean up her Facebook page. She had an interview and the person said ‘you do realise your Facebook page is wide open’ she said ‘yes, I have nothing to hide’ which he replied, ‘yes I could see that’. So lets give them a bit more credit and space to be teens. As I’ve said before the internet is an amazing place to learn and children who don’t have access to it could be academically disadvantaged. There are safety issues we need to consider, but I do worry that all of the e-safety talks and information aimed at parents ends up only scaring the hell out of them resulting in them restricting their child’s access to this resources. One of the most frustrating things for me is other parent’s unwillingness to understand technology a bit better so they can engage in meaningful conversations with their kids. I don’t know how many times I’ve heard parents say ‘I don’t do Twitter or Facebook’ I’m not suggesting they sign up to all the platforms and lose years of their life like I have. But I do encourage them to sign up for an account, log into their kids accounts or borrow a friends to have a little look around so they can talk to their children in an informed way and show interest. I know all the kids are now using Snapchat, I’ve personally never used it, even though my generation are starting to have a play. However, my 20 year old niece is with us at the moment and I made her sit down with me and show me how it works. However, as a parent, with anything else are children get involved with we educate ourselves about it. If our child chooses to play rugby, we appreciate the dangers and get them a mouth guard. When they are old enough to get themselves to school we check out the route. If they spend the night at their mates, we get to know the parents. I’m not suggesting if your child is going to their first rave you drop a couple of Ecstasy tablets, put on some house music and dance around the lounge. However, you would educate your children on the dangers of illicit drugs? No? So, why don’t many parents do the same when it comes to technology? Author mediocremumPosted on 11/02/2014 10/01/2015 Categories Safety, TechnologyTags e-safety, internet, myths, safer internet day, teenagers6 Comments on Technology is not making our kids stupid! 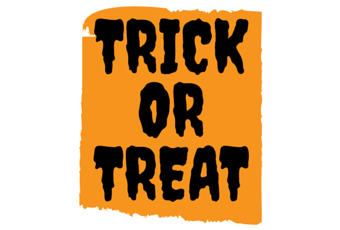 With half-term looming, Halloween around the corner and weather forecasters warning about storms coming next week, I spent a bit of time looking for a few Halloween iPad apps in case we have a few days stuck indoors. We’ve had a really good play with some of the Halloween iPad Apps today and I can recommend the following. Carve A Pumpkin from Parents Magazine – virtually cut out pumpkins, either free hand or using their shapes, without all the mess and save the images to your camera roll. Casper Scare School – Costume Closet by Mindshapes probably the least scariest ghost of all time. Can you remember what Halloween Costume he was wearing? Have fun dressing him and his ghoulish friends up. 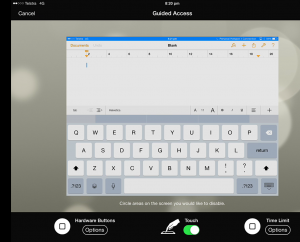 Sneak HD by Made in Me – How quietly can you sneak up on your iPad? If you can get to the iPad, snap a photo of the monster without him hearing you, you win. See how many monsters you can collect. Great to play with friends as well. Mask Jumble Halloween – using the iPad camera create hilarious photos of you and your friends.